Having your property inspected as you prepare it for sale or renting can be an intimidating prospect. After all: an inspector’s report can have a significant effect on the perceived value of your property, so it’s in your best interest to make sure the inspection goes off without a hitch. Being aware of a few simple tips can help make a property inspection a stress-free experience. A property inspector won’t be put off by the signs of a lived-in home, so there’s no need to panic and disinfect every room from floor to ceiling. But it is very important to make sure that doorways and halls are clear so that it’s easy to get from one room to another, and anything that needs to be tested (like outlets and appliances) should be easy to access and not crowded by mess. Organize your things before the inspector arrives so that s/he won’t have to wade through piles of your belongings in order to get the job done. Small home repairs that you know you can do yourself should be done before an inspector comes around. Simple things like making sure all the light bulbs are working can prevent an inspector having to do the time-consuming work of testing the fixtures individually, and there’s no need to have loose cabinet hinges on your report if a few minutes with a screwdriver will fix them. It’s worth spending a little time and money to take care of simple repairs around the house if it raises the sale or rental value of your property. If a property has been in use for a while, it’s perfectly normal for things to be broken or be damaged, sometimes beyond what your DIY can fix. If something is seriously damaged or old enough to need replacing, be honest about it. The inspection report will help you figure out whether it is more cost-effective to replace it yourself or to take a slight dip in value, but trying to hide things like cracked gas pipes or faulty plumbing is at best dishonest, and at worse dangerous to future residents. If you’ve never blown a fuse then it is surprisingly easy to lose track of where the fuse box actually is; similarly, it isn’t that uncommon to pay your gas and electric bills for years without ever having to look at the meters. Make sure you know where important meters, keypads, and circuit boxes are, and that you have any access codes they need on hand. If your property comes with an alarm system, it’s useful to have the basic functions written down so that they can be tested properly. 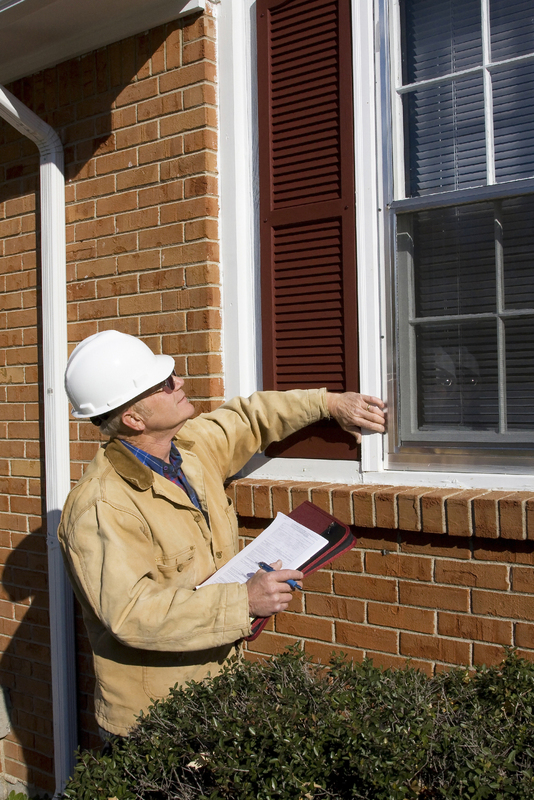 Depending on the size of your property, a property inspection can take several hours, and more time spent is a sign of a thorough and professional inspection. Don’t cause yourself unnecessary stress by scheduling an inspection for a busy day: make sure you can take the time to welcome the inspector and be on hand to answer any questions.